Attractive raised bungalow on quiet tree-lined street in desirable area, perfect for retirees or as a starter home. 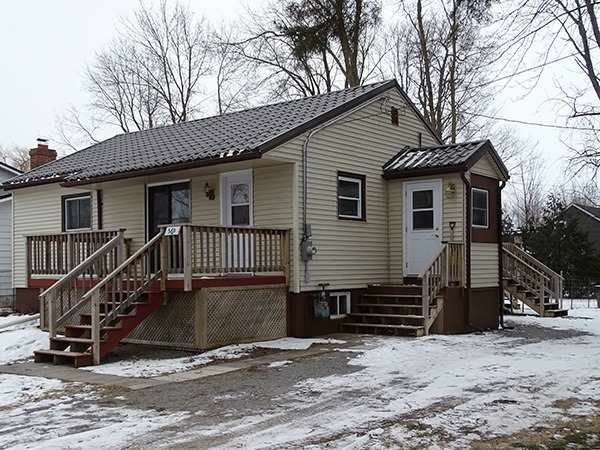 Comes with European style metal roof, updated electrical panel, new laminate flooring in principal rooms and fenced backyard. Sunny eat-in kitchen, enclosed mudroom-vestibule and sliding glass door opens to large private deck. Bright living room features sliding glass door with walkout to front deck. Full basement awaiting your finishing touches.